Disney’s adventure The Lion Guard continues with Simba and Nala's (from the classic The Lion King) second-born cub, Kion, and his Lion Guard team as they protect the Circle of Life! Follow our group of unlikely heroes: Bunga the honey badger, Fuli the cheetah, Beshte the hippo and Ono the egret. Join this heroic band as they use their unique abilities to protect the Pride Lands and maintain the Circle of Life. This series also features Simba, the spirit of Mufasa and the hilarious antics of Timon and Pumbaa. 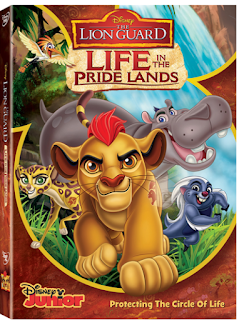 You’ll go wild for all the ferocious fun, because whether the Lion Guard team is tracking a rogue leopard, foiling tricky jackals or facing stubborn crocodiles, Life In The Pride Lands is always “hevi kabisa” – totally intense! This new DVD, features five new episodes and is packed with laughs, music, beloved characters and heart, The Lion Guard: Life in the Pride Lands is a must-own for the entire family! Bring home this heroic adventure on Disney DVD January 10th! 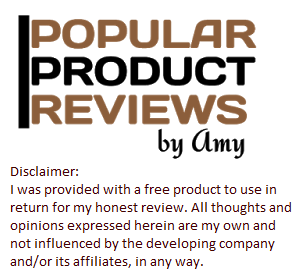 Plus Five FREE Exclusive Silicone Bracelets! Synopsis: Rough, tough and roarin’ to go, your favorite heroes are back for more epic adventures in The Lion Guard, the animated series that continues the storytelling of Disney's The Lion King. Voice Cast: Rob Lowe ("The Grinder") as Simba; Gabrielle Union ("Being Mary Jane") as Nala; Max Charles("The Amazing Spider-Man 2”) as Kion; Joshua Rush ("The Adventures of Puss in Boots") as Bunga; Atticus Shaffer("The Middle") as Ono; Diamond White ("Sofia the First") as Fuli; and Dusan Brown ("Blaze and the Monster Machines") as Beshte. Many of the beloved characters from "The Lion King" reprise their roles, including Ernie Sabella as Pumbaa. Additional cast members include: Eden Riegel ("All My Children") as Kiara; Sarah Hyland("Modern Family") as Tiifu; Madison Pettis ("Jake and the Never Land Pirates") as Zuri; Khary Payton ("Teen Titans") as Rafiki; Andrew Kishino ("Star Wars: The Clone Wars") as Janja; Vargus Mason ("Sofia the First") as Cheezi; Jonny Rees(“Star Wars Rebels”) as Mzingo; Jeff Bennett ("Jake and the Never Land Pirates") as Zazu; and Kevin Schon (“The Lion King 1 1/2”) as Chungu and Timon.